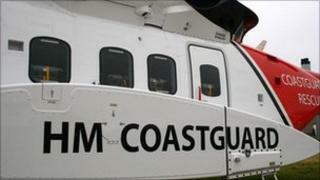 MPs have rejected a call for the control of the coastguard service in Scotland to be transferred to Holyrood. The proposals were put forward by the SNP during detailed discussions in the Commons on the Scotland Bill. The bill aims to give more powers to the Scottish Parliament. SNP MP Angus MacNeil said devolution of power over coastguards would lift the threat of closure to a number of Scottish coastguard centres. MPs voted by 480 to 9 to reject the SNP plans. Under UK government plans, 10 of the UK's 18 round-the-clock coastguard centres could close in an effort to reduce costs and modernise the service. Five remaining sites will operate just during daylight, with the only 24-hour centres planned for Aberdeen, Dover and the Southampton/Portsmouth area. The five daylight-only stations will be Swansea, Falmouth in Cornwall, Humber, either Belfast or Liverpool, and either Stornoway or Shetland. During a Commons debate on the Scotland Bill, Mr MacNeil, the MP for Na h-Eileanan an Iar (Western Isles), said: "According to the Maritime Coastguard Agency, the seas and coastlines are getting more congested, ships are getting larger and the weather, according to them, is getting worse. "With this in mind, it would surely make more sense to implement some division of labour and allow the MCA in England to focus on Southampton and London and leave the Scottish waters to Scotland." Scotland Office minister David Mundell said: "The simple transfer of powers would in no way guarantee how those powers would be used or what approach a future Scotland government would take to the coastguard." In a separate vote MPs also rejected calls for Holyrood to be given more control over Scottish territorial waters. A further proposal - backed by Labour and the Nationalists - to hand more powers over the railways to the Scottish Parliament was also thrown out. Opposition MPs argue that Scottish ministers should be allowed more say over the franchise model for services within Scotland, in addition to powers already devolved over funding of new lines and stations. Mr Mundell said it was essential that powers over passenger services across the UK network remained with Westminster. MPs voted 293-172 against the further transfer of rail powers. A proposal by the SNP to devolve power over the Crown Estates and a plan to give Scotland power over its own time zone were also rejected. Labour and the Tories described that idea as "ludicrous" and "lunacy" which would hasten the introduction of two UK time zones.